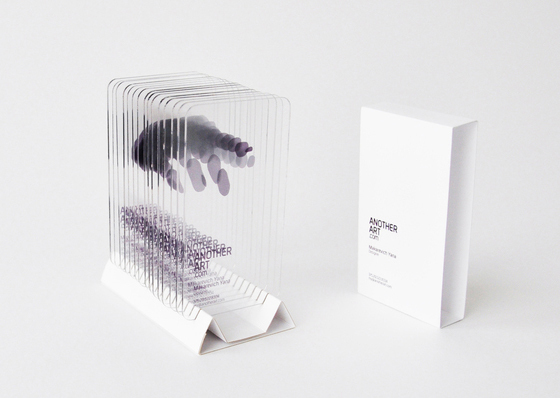 Just have a look at these astonishing transparent business cards. 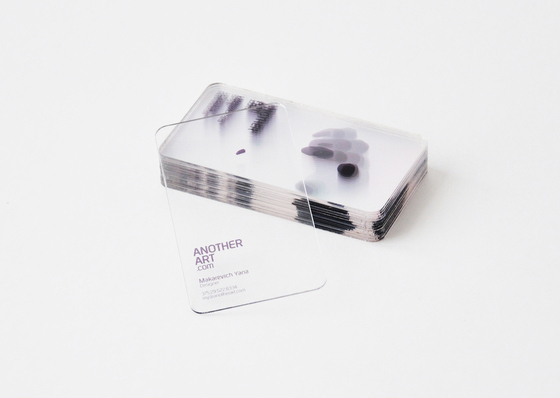 They were designed for AnotherArt.com, a designer’s site. The cards look amazing and so does the logo. 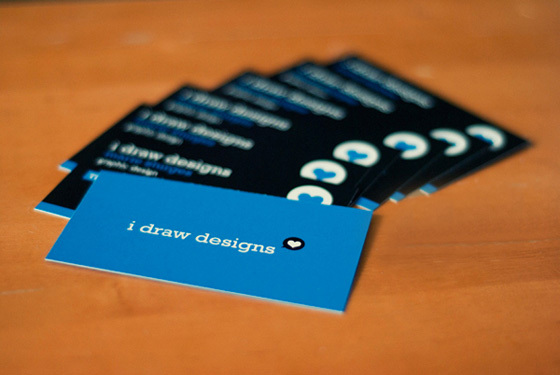 The project logo is continued in business cards, giving it additional meaning. Here, the logo appears as a sculpture. 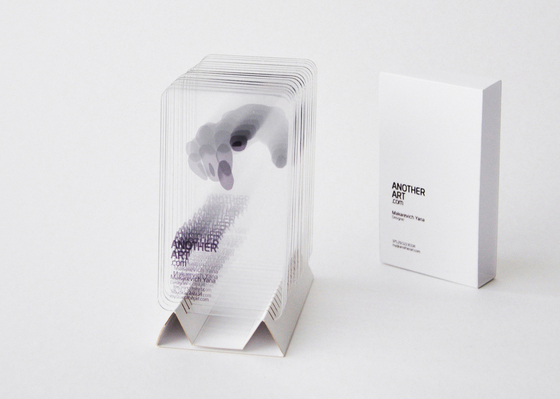 A set of cards gives a new sound to the logo. 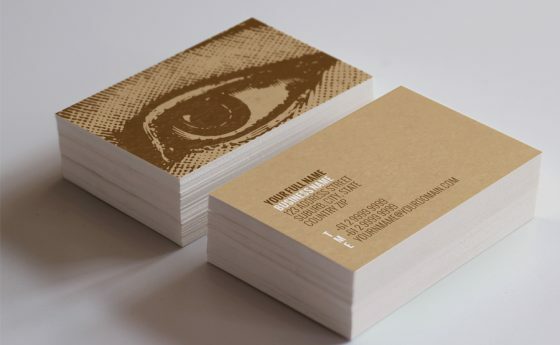 Nowdays business cards are not just a means of communication, it becomes an independent element of art. 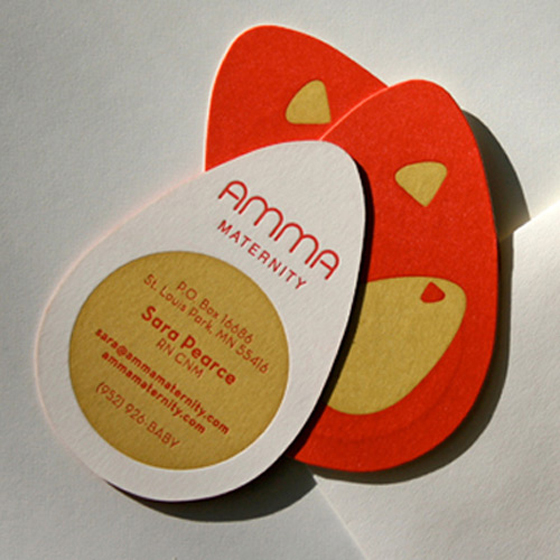 Modern technologies are helping to raise the design of business cards to a new level, giving them more value. 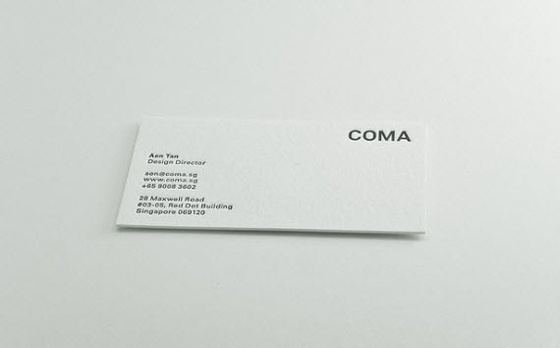 Packing for a business card in this case takes on another property, it is now an integral element of the whole structure, it still must be used as a stand, but the number of elements should be minimal. In the end, it took the form that consists of two parts, the outer shell and inner part-holder.